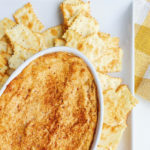 This Baked Goat Cheese Dip is warm, creamy, and utterly delicious. 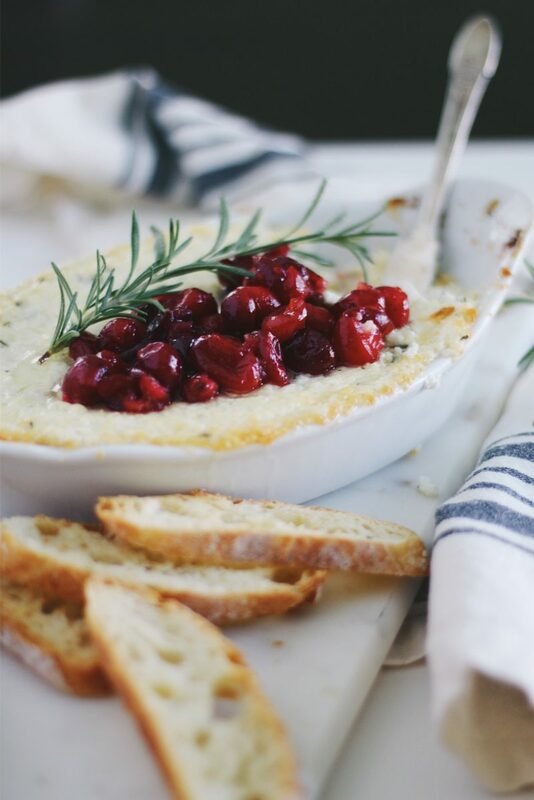 Served topped with citrus, honey, and cinnamon-laced cranberries, this makes a great Thanksgiving or holiday appetizer. Goat cheese is, without a doubt, one of my favorite cheeses. I remember when I was very young, my dad came home from work one day announcing that he was going to make goat cheese stuffed mushrooms that weekend. I was never really a picky eater as a kid, and I loved fancy or exotic food. Goat cheese was definitely an unfamiliar ingredient in our household. I told my friends I was going to eat goat cheese that weekend and their immediate reaction was something in the realm of “oh my God, yuck.” I wasn’t grossed out or deterred by it, though. I was super excited. He made the goat cheese stuffed mushrooms, and they were delicious. The goat cheese was definitely different. A little bit funkier, a little unusual. Especially since the only cheese I really knew even existed or was exposed to at this point in my life was American Kraft Singles. 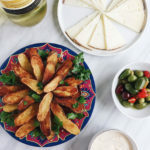 There’s so many delicious ways to eat goat cheese—in a salad, fried, stuffed in a mushroom, simply spread on a cracker. I really enjoy making a Baked Goat Cheese Dip. Warm from the oven, creamy, and perfectly paired with some homemade crostini. It’s also easy as can be. Here, we simply mix together goat cheese, cream cheese, Parmesan, fresh rosemary, quality olive oil, garlic, sea salt, and pepper. 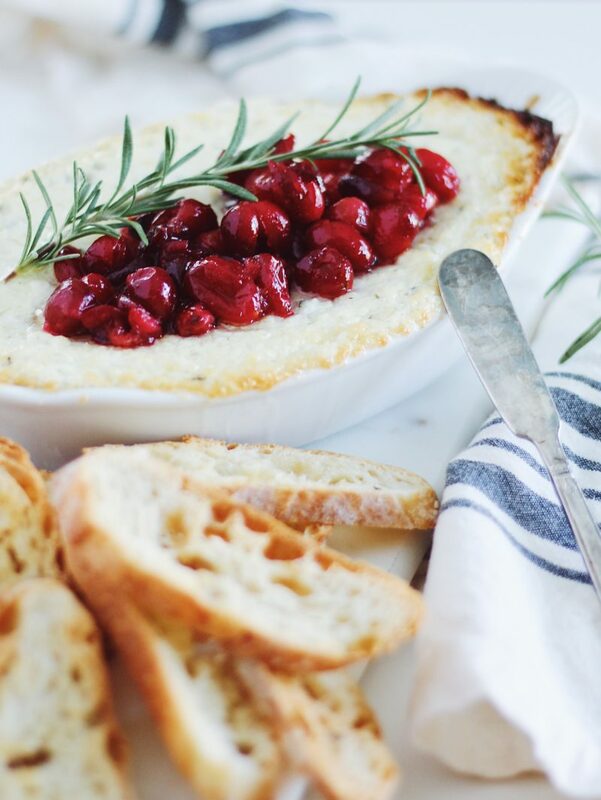 I really love serving this Baked Goat Cheese Dip with roasted cranberries. I flavor fresh cranberries with honey, orange, cinnamon, cardamom, and olive oil. Toss with a little salt and pepper, and they become juicy and sticky in the oven. They’re incredible topped on the baked goat cheese dip. 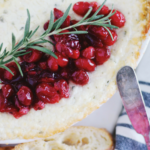 Tart cranberries, a touch of natural sweetness from honey, a bit of citrus, spices, herbs, and creamy, salty cheese. 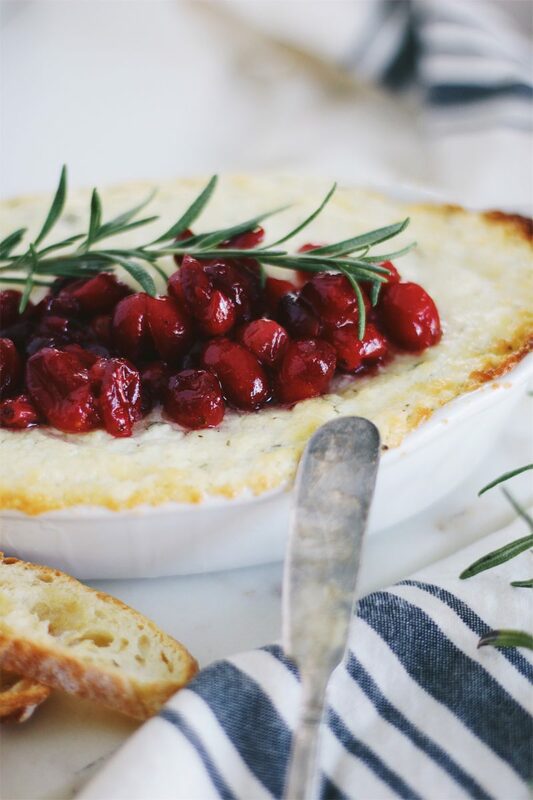 Plus, those pretty deep ruby cranberries and green sprigs of fresh rosemary? It looks lovely and seasonal to boot. 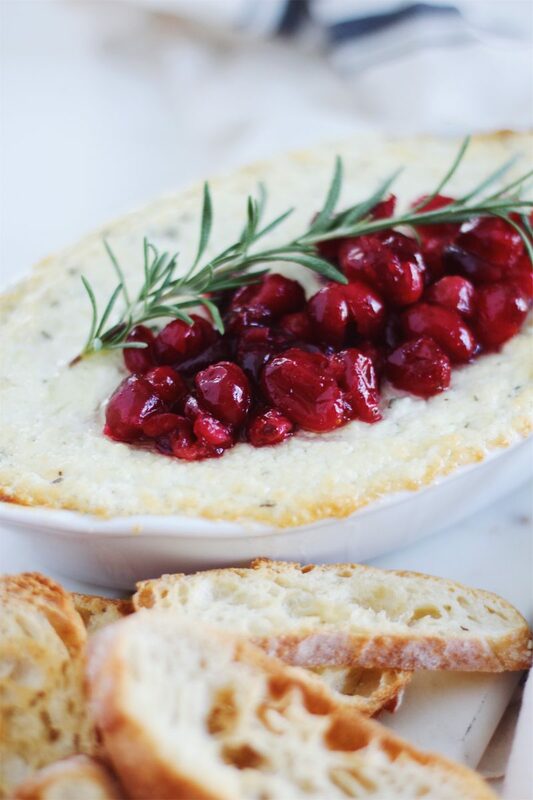 I hope that you’ve enjoyed this Baked Goat Cheese Dip with Roasted Cranberries. 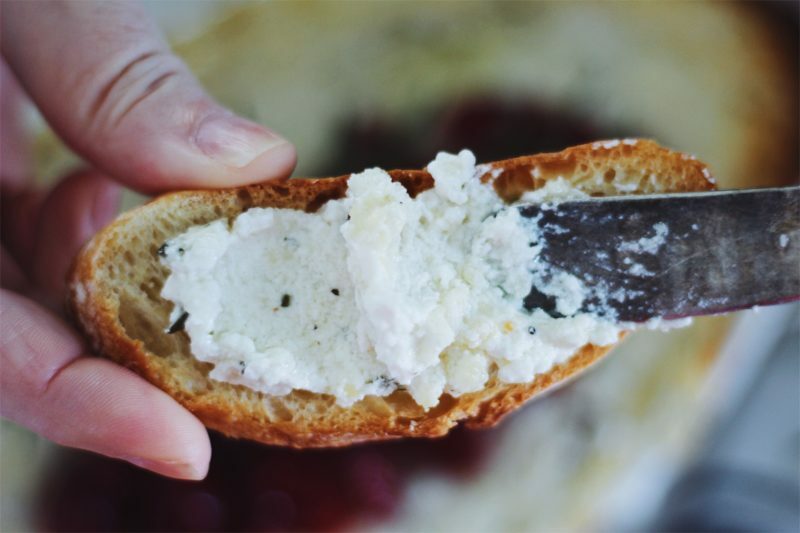 What are your favorite ways or recipes to use goat cheese? Let us know in the comments below! 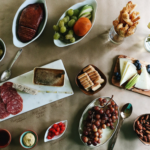 Check out Joan of Arc’s website for dozens of delicious appetizers and even more holiday recipe inspiration! 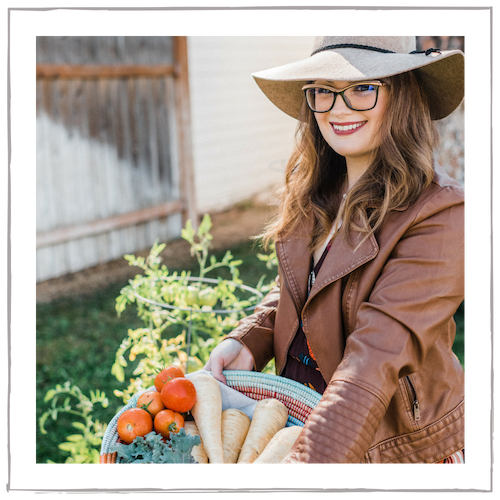 This post contains affiliate links and are always products I love, highly recommend, & use in my own kitchen. In a food processor, combine the room temperature cream cheese, room temperature goat cheese, grated Parmesan, minced garlic, and 2 tablespoons of olive oil. Whiz until blended and creamy. Season with sea salt, pepper, and the fresh rosemary. Gently mix until just combined. Transfer the goat cheese mixture into a small oven-safe baking dish. Drizzle with the additional tablespoon of olive oil. Bake the goat cheese dip about 10-15 minutes, until warmed through, bubbly, and browned at the edges. Toss the cranberries with the honey, orange zest, orange juice, olive oil, cardamom pods, cinnamon, sea salt, and pepper until everything is combined. Roast the cranberry mixture until bursting, bubbling, and syrup-like, about 10-15 minutes. 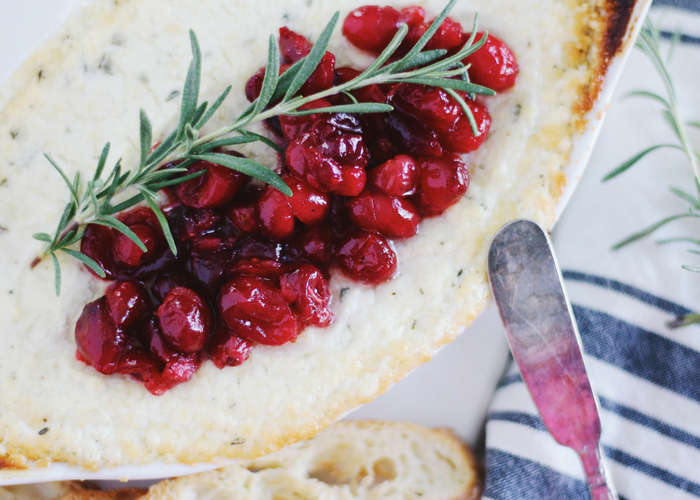 Top the warm goat cheese with the warm roasted cranberries. Garnish with additional rosemary, and serve alongside homemade crostini or crackers. Enjoy! 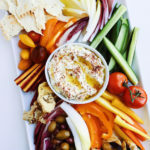 The goat cheese dip can be made the day before. Prepare the dip, place in the baking dish, and cover with plastic wrap overnight in the fridge. The next day, allow the dip to sit out at room temperature for 30 minutes before baking. I made this and loved it! I intended to share it too but uh…I ended up eating the whole thing haha, please don’t judge me. This looks like it would be super tasty. I have only had goat cheese a couple times before. 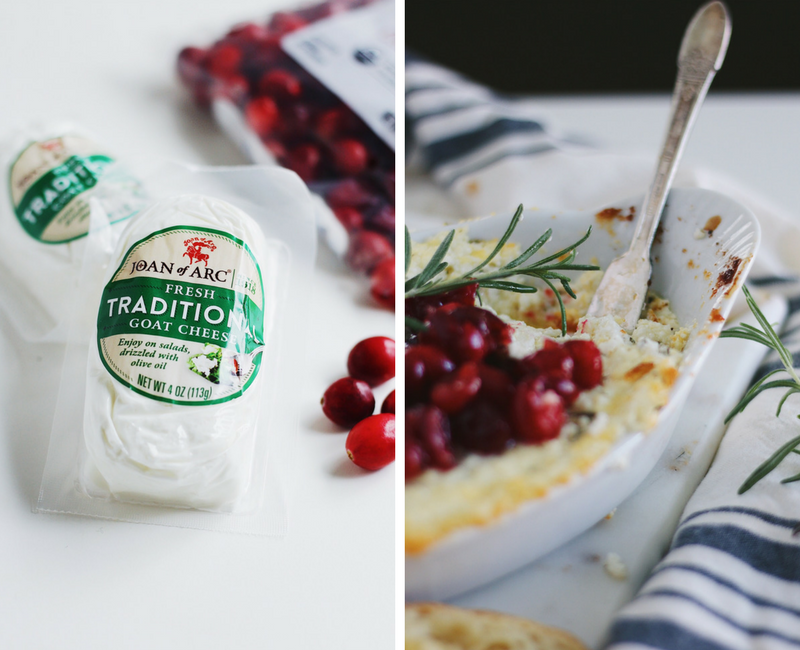 Love the roasted cranberries so definitely want to try them on something … but not a fan of goat cheese, so have to find something else. My daughter and her new beau are coming to visit next weekend. This would be the perfect appetizer when they are here. This actually looks so good! I’m always up for trying new things and seeing how my family reacts to it. This is something I’ll have to try and put together for the holidays. Thanks for sharing! 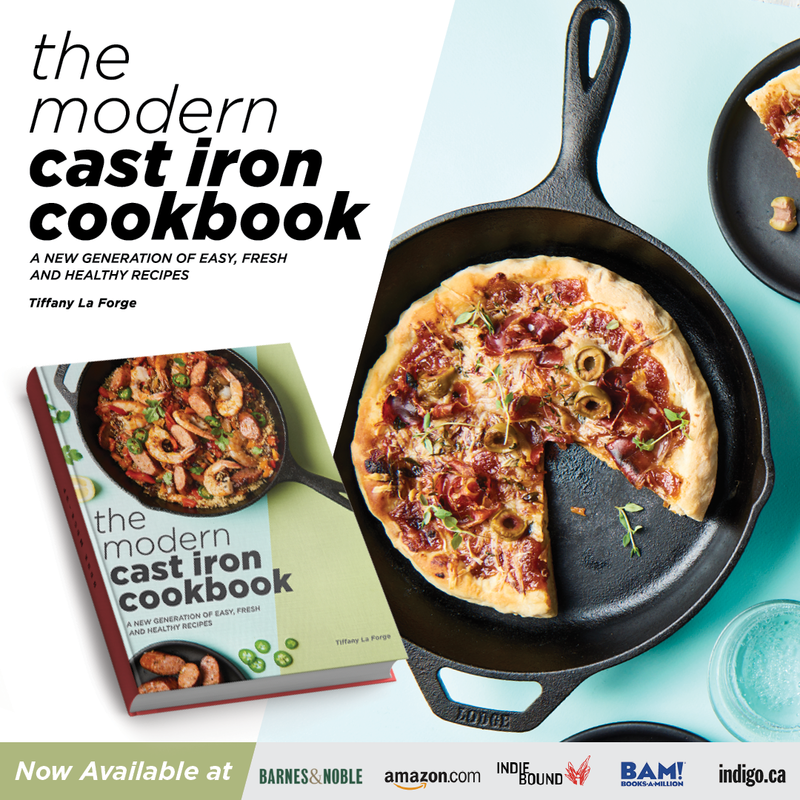 Oh my gosh – another amazing recipe to try. I totally love the holidays and all the awesome new foods! Although I do not have goat cheese very often I can imagine it is a perfect pairing with the cranberries. It just sounds like it would be a great new recipe to introduce this holiday season. I will be pinning it and attempt it for Christmas. I love trying new cheeses! 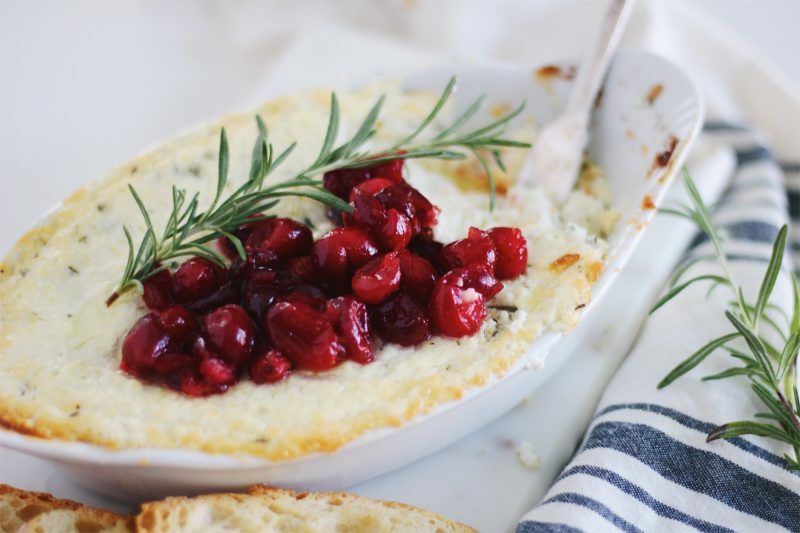 This recipe looks so yummy, and I bet the cranberries really set off the flavor of the cheese. Looks so yumm! 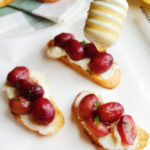 Great recipe for holiday party appetizer! Love cranberries! This recipe looks very festive for the holiday season. Usually I look at food and think yum! but during the holidays it seems we always like when they not only look yummy to eat, but also festive! This is perfect and sounds delicious! This is one classy cheese appetizer! A total crowd please for sure! This is such a festive dip. 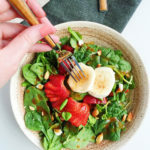 It looks so delicious and easy to make. I will have to give it a try this holiday season.